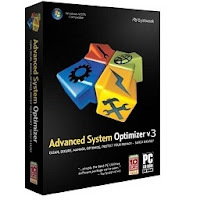 Advanced System Optimizer is a system tweaking suite that includes more than 30 tools to improve and tweak your PC`s performance, to keep your system running smoothly, speedily, and error free. It offers an attractive and easy to use interface that organizes all tasks into categories and provides graphical statistics whenever possible. The tools include junk file cleaner, memory optimizer, system information, system files backup, file encryption, safe uninstaller, duplicate file finder, windows transparency manager and much more. Advanced System Optimizer also includes a small SMTP server for direct mail sending, an Internet tracks eraser with cookie manager and secure deletion, and even a desktop sticky notes application. Overall, a great bundle that offers a wide range of system tools, as well as some extras that are not commonly found.